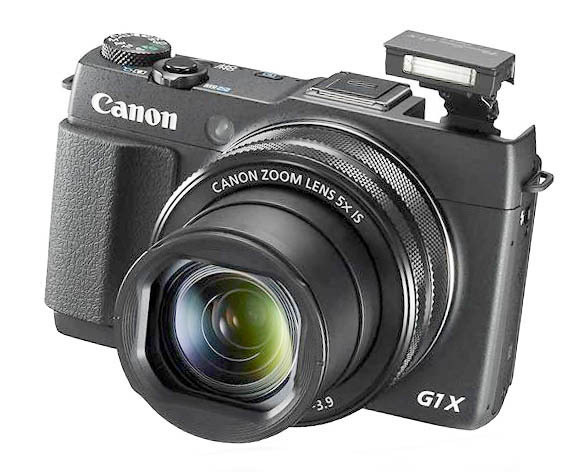 The G1X Mark II flash is convenient to use and handles many flash-needy situations. My shooting style dictates that I try to use the existing light whenever I can. There are also times when I am really glad the built-in light is always there for me when I need it. 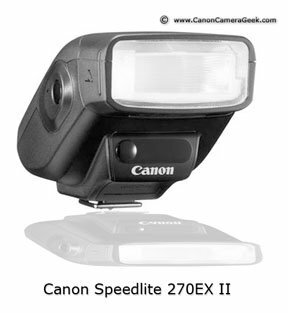 I prefer the compact and more powerful 270EX II flash attached to the G1X Mark II hot shoe when I know ahead of time I'll be shooting with flash and want bounce light capabilities. 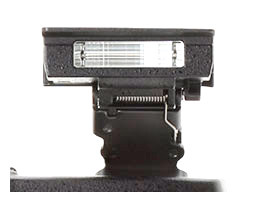 If I am using the EVF viewfinder, then of course I must use the built-in pop-up flash on the Mark II. 1. Automatic - set it and forget it. Will fire when lighting conditions dictate it. 2. Manual On-Off - turn it on only when you want to use it. 3. Slow Syncro with red-eye reduction. Use it to get more ambient light to show up, often getting some creative blur blended with subject sharpness. See the photo on the right. 4. Second curtain sync. 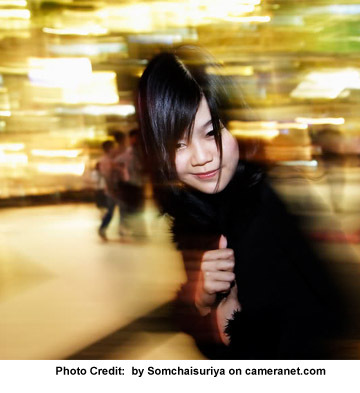 Use it to have the desired blur trailing behind your moving subject. It take a bit of practice to learn how to use this and get a creative result. There is no precise way to control the exact split second that the strobe will fire. 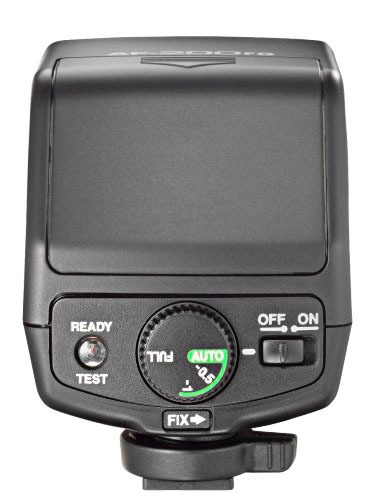 At wide angle setting (f/2 maximum aperture) the flash has a range of 1.6 to 22 feet. At full telephoto setting (f/3.8 maximum aperture) the flash has a range of 4.6 to 11.4 feet. These distance ranges are typical for compact cameras and do well for most snapshot photography. A common mistake of amateur photographers is to use this type of flash when shooting distant subjects like their child in the school play or receiving their diploma up on stage. Best. They are the absolute most convenient flash to sue, because it is a simple task to activate them for use and they are always with you and take up no extra room in your pocket, or camera bag. You know they always with synchronize properly with the cameras shutter and the automatic exposure is very accurate. Worst. They are not powerful enough to cover subjects at distance. The are a small light source and therefore create distinct shadows. They are not the best at all for portrait and macro photography. Use the hot shoe for an external flash for more powerful and creative lighting. 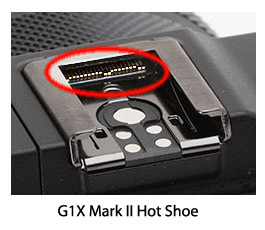 The 270EX II flash mounts to the hot shoe of the G1X Mark II. Example of slow shutter-flash sync.